Working German Shepherd Dogs - "White Shepherds"
"White Shepherd(s)" is the actual name of the Breed of White Shepherd Dogs with the same linage, and pedigrees of the German Shepherd Dogs. Why the name change? Keep Reading. AT THIS TIME VONKAZMAIER KENNEL DOES NOT HAVE/OWN/TRAIN/BREED WHITE SHEPHERD DOGS. However, we have been 'Doing Our Homework' on them. The reason that White GSDs are not excepted in the AKC Conformational Show Ring will make sense to you as soon as you realize that dogs are and were bred for a purpose. Dog breeds were developed to produce the best dogs to help their humans with a job. Some were bred to hunt, others for transportation, and many different breeds to help Shepherds and Farmers and Ranchers. The GSD falls into the Herding Group at or with the American Kennel Club (AKC), still the biggest most active Registration Club in the USA. GSDs were bred to move sheep. It was found early on that the dogs with the darkest faces intimidated the sheep the best. These dark, black, faced dogs moved the sheep the fastest and the best. The sheep saw the white dog, since most sheep are white, as no big threat to the herd. As a side note, look at the colors of the majority of the GSD that are in Schutzhund. It is not only just sheep that are more intimidated by that dark color. HOWEVER! 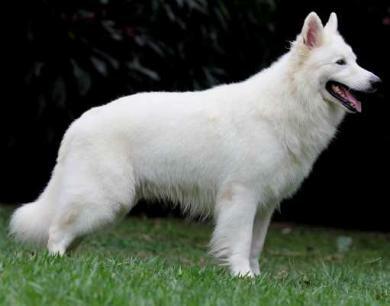 There are White Shepherds in Shutzhund, and they are just as easy to train and perform as well of any dog of any color. I DO understand why the AKC keep the white dogs out of the Conformational Show Ring. It is not prejudice. The AKC is suppose to keep the dog breeds true to what the dogs were developed for, or their purpose of breeding. Therefore, white dogs, not only do not move sheep as well as the black faced dogs, but also when used for breeding, in the GSD lines, dilute the dark rich colors of the GSD breed. In the Conformational Show Ring, diluted colors are a "fault". The feelings are that if the AKC Championed the White or Diluted Colored Dogs, the breeding of them will increase. Thus taking the dogs away from the intended purpose of the breed. Or maybe I should say, taking the tools of their trade away from them. The AKC DOES Register the White and Diluted Colored dogs. 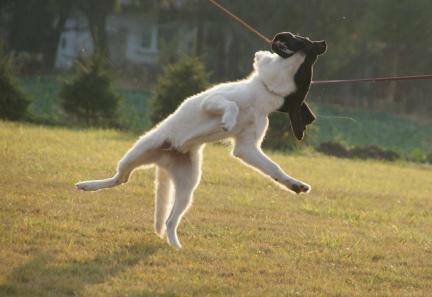 These dogs MAY enter other Awarded Classes, such as Obedience, Agility and others. The United Kennel Club, know as the UKC, does include White and or Diluted Colored GSD Dogs into their Conformation Show Rings. 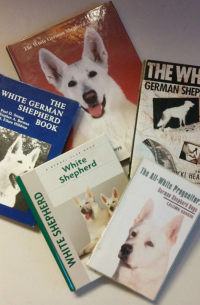 The UKC has a separate registration for White Shepherds. And has classes for them Conformation. HOWEVER, when the AKC decided to no longer let the White GSD into the Conformational Show Ring, other countries, like Canada held fast. Yes, White German Shepherd Dogs ARE seen in the Conformational Show Rings in Canada. 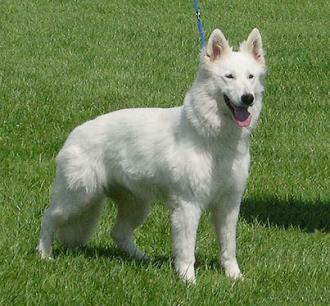 Later the Canadian Kennel Club, CKC, also registers the White GSD as White Shepherds. Whatever the color, the brain is still a GSD and for a great Pet or Working Dog, color really does not matter, training does. I DO wish that the Club that decided on the Breed Name for the White Shepherd would have added the word Dog to the Breed Name. Every time I type or say it, I feel like I and others think that I am taking about a White Man that has/owns/tends Sheep or Goats. A woman would be known as a Shepherdess. Ironically staying OUT of the Conformation German Shepherd Dog Show Ring did the White Shepherd a big Favor! The White Shepherd's still have the same, Beautiful, Original, Correct, Good Bone Stature, as was set before the German Shepherd Dog Breed when it was established in the 1800's. The White Shepherd, as a Breed, has it's own Standard for the Breed, but you will find, other than the color, that it is the same Original GSD Standard for Build. My hat tips to the folks who kept that true! And breed that True! A White Shepherd COULD HOLD any job any other color GSD Could Hold. It takes training. It takes work. But not only could the White Shepherd Hold the Same Jobs, they can Hold some of the Same Titles on their Registration Papers. 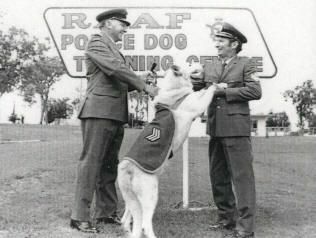 Unless you bought a Trained Dog, you will have to Train it, or send it for Training for the Job or Sport you want it to learn. White Shepherd will train up just like any other above average intelligence dog. 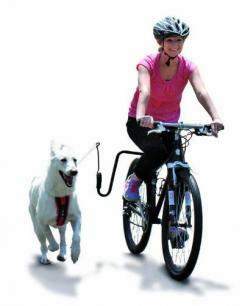 Your White Shepherd Depends ON YOU to make it a welcome citizen in your home and neighborhood. It is up to YOU to Train it and Train it well. Please see our Schutzhund Training Page (see Navigation Box at the right). White Shepherd Learn or can be Trained Schutzhund, that is Obedience, Tracking, and Protection Training like any other German Shepherd Dog. I highly recommend that is you want your White Shepherd to participate in Schutzhund, you purchase your dog/puppy from someone who participates in the Sport and knows what it takes in the dog's/puppy's personality to do well at it. PLEASE DO NOT TAKE SHCUTZHUND LIGHTLY, OR TRY TO TRAIN THIS YOURSELF. FIND A TRAINER AND CLUB. FIND A GROUP THAT CAN HELP YOU TRAIN THIS SPORT. While the White Shepherd dogs are perfect, body and brain, for this type of work, they are usually not considered... Why? Their White shedding hair. Police and Military Uniforms are usually dark, and white hair makes them appear unkept/untidy. Also. Darker faced GSD are more Intimidating looking. So preferred for the work the dogs perform. That said, YES!, there are some White Shepherd in this sort of work. The photo here is an older photo of Officers and a White German Shepherd Dog Police Dog. 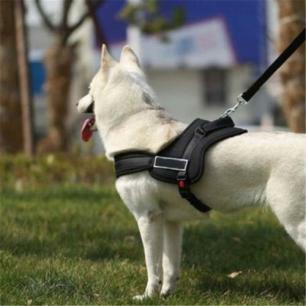 White German Shepherd Dogs, or other White Shepherd Breeds, Certainly COULD be Trained as Service Dogs. I am sure that many Have and Do Service as Well Trained Service Dogs. But Again. The problem with the White coat is that because of the shedding, having it on the Handlers clothing, would not be a clean looking representation of a Service Dog....especially going into Restaurants. 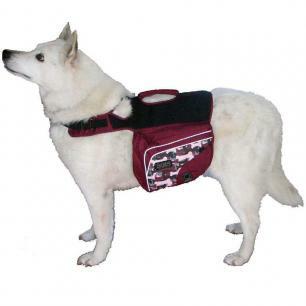 Please Visit our page here on this Website about Service Dogs and How To Train Your Own Service Dog. 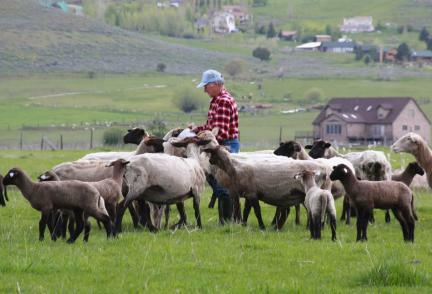 If your Whit Shepherd was bred correctly, with a good temperament and body structure, YES, it sure can carry a Backpack and go on Backpacking and Camping Trips with you. Do NOT overload your dogs Backpack and make sure each pannier weighs the same so that the Backpack stays even as the dog moves. Of course you will want to watch the weather so that your dog will not overheat. Don't forget the Dog Food, Extra Water for your dog, and Bowls, we recommend Frisbies for the dog to eat and drink out of. The frisbies add support and padding for the sides of the backpacks as well are smaller/flatter to transport. We have a page here on this website ALL about Dog Backpacking. Please have a look around this site for ideas and all sorts of information for Training your Dog. Any Dog. Any Breed. White Shepherds can and do, have the same jobs, same training as any other dog, especially German Shepherd Dogs....of ANY Color! But I will add.....TRAIN YOUR PUPPIES AND DOGS. You will get out of your own dog, what you put into your own dog. Train them. Teach them. Love them enough to discipline them, to show them how to be "good dogs". IF YOU ARE THINKING ABOUT BUYING A WHITE SHEPHERD, *ASK* WHAT TYPE, WHAT CLUB, OF REGISTRATION PAPERS THE DOG OR PUPPY COMES WITH. ALSO ASK IF THE BREEDER IS GIVING YOU 'FULL REGISTRATION' ON THE PAPERS. With Full Registration you will be able to Participate in Club Activities and Breed your own dog if YOU Choose. Both Parents of the Puppy you are buying, NEEDS to be Registered BY THE SAME CLUB REGISTRY, for the Puppy's Registration to go through. If the dogs are AKC Registered German Shepherd Dogs, you sure will be able to Register, if the Breeder gives you the Correct Registration Papers, but the color will be Registered, "Other". Check the Name of the Breed on the Papers BEFORE you purchase your puppy. White Shepherd will be on Registration Papers of dogs/puppies that are Registered with Clubs that have the Breed Category. *Ask! * *Read*, *Look For Yourself* At The Papers! So that you are not disappointed when you get your papers out after the sale. Also. If you want a Conformation Show Dog, buy from people that are winning in the Conformational Rings. If you want a Working Dog, buy from folks that are working their dogs. If you want a Pet, be sure to buy from people that breed "True to Standard", with Health and Brains in mind. Believe it or not, there are "shades" of White on dogs. (also true of Black dogs) However, a White Dog should LOOK White, and a Black should LOOK Black. You should only see a difference in shades when dogs are standing next to one another, that is, of the same color...white or black. Read the Standard for the Breed of the Club where the dog you are buying is going to be Registered to see what 'shades' are allowed. In all Registration Clubs, WHITE DOGS SHALL HAVE BLACK EYES, NOSES, PAWS AND PIGMENTATION. Now? Do all White Shepherds have this? No. It is what Breeders should be striving for. Usually Coat Colors from Pure White to Cream are allowed. Tan and Brown, are NOT White Shepherd or White German Shepherd Dog White Colors. White Shepherds are NOT Albinos. So don't let a Breeder try to tell you that a dog/puppy with light colored pigmentation, "leans toward albinoism...". THAT is not true. You can visit our pages (see Navigation at right) "Pedigrees, Yes! They Matter" as well as "Terms, Titles & Ratings" to see a very large compilation of GSD Titles, Abbreviations, Ratings and more for all color GSD, these below are only for the White Shepherd Dogs. These same are included into the compilation I spent many many hours compiling on the other pages. White Shepherd dogs have their own Clubs and Associations. All Purpose: All Purpose Dog Award. This is a WGSDI Award and is Issued to dogs that have passed OFA as well as Different Areas, Conformational Show Ring, Working Abilities, Instinctual Abilities, the Offspring's Conformation Show Records as well as the Offspring's Working Abilities. AWSA Ch: American White Shepherd Association Champion. HOF: WGSDCI Hall of Fame. The Award is given by the WGSDCI. OP: Obedience Progeny WSCC Award to Sire or Dam that has produced the required number of pups with Obedience and or Service Awards. V: Veteran. WGSDCI Award Champion Title. %WF: Von Willebrand's Genetic Blood Disease Factor. AT THIS TIME VONKAZMAIER KENNEL DOES NOT HAVE/OWN/TRAIN WHITE SHEPHERD DOGS. The contents of this page for "White Shepherds" is still under construction. Please see our "White GSDs" here at this site for now, and Please check back here later.